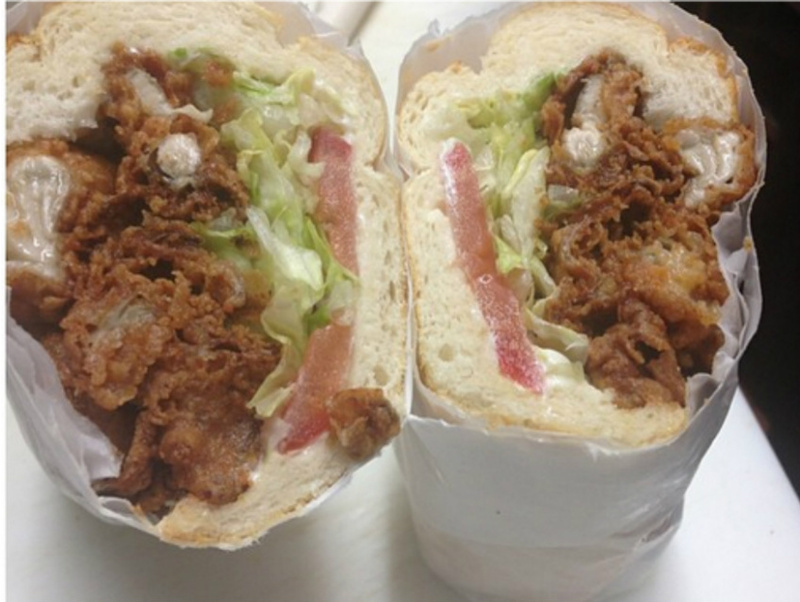 Orleans and York has fried oyster po-boys. It’s great when you can find an entire section of town, or even a block or two, celebrating a culture and its cuisine. But sometimes when you’re trying to locate hard-to-find food, discovering just one corner will do. Drive by Slauson Avenue at Overhill Drive in South L.A.’s Windsor Hills area on a weekend and you’ll likely see a line of cars trying to pull into a tiny parking lot. They’re here because an unlikely Cajun cluster has emerged in a strip mall next to Overhill’s decades-old La Louisianne restaurant. Longtime neighborhood residents, and those who want a sit-down meal of jambalaya while they watch a live band, still come to La Louisianne on the semi-regular, but the adjacent shopping center’s Orleans & York Deli is what’s constantly buzzing. 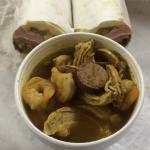 Sno-Ball’s gumbo (available on Thursdays through Sundays) and Orleans & York’s O.G. muffuletta are a powerful weekend combo. Sno-Balls also serves funnel cakes. As its name suggests, the sandwich shop, which opened in 2013, devotes a good chunk of its menu to New York-style heros. Those aren’t that easy to locate in L.A., but anybody who, like me, grew up in the South and loved eating Cajun food and then moved out of the South and spent years wondering why Cajun food is pretty uniformly awful outside of the South, even in or perhaps especially in New York, will be more tickled to see that there are fried shrimp, catfish, and oyster po-boys here. There are also grilled andouille chicken sausage sandwiches and the O.G. Orlean Muffuletta, with mortadella, salami, capocollo, swiss cheese, provolone, and a difference-making olive salad. While Chinatown’s Little Jewel of New Orleans is also bringing in big crowds for its sandwiches, it’s Orleans & York that’s on a mission to take its po-boys all over L.A. It already has another outpost in Inglewood and is working to open Downtown and in Carson. But it’s the Slauson Avenue corner (which also includes Wings-N-Things, with rotisserie chicken accompanied by soul-food sides) that makes it easy to indulge in a Southern food crawl. For dessert (or a $7 weekend gumbo, served in a styrofoam bowl, with shrimp, chicken, and turkey sausage) beyond the peach cobbler at Orleans and York, you can walk down into the parking lot and find the tiny Sno-Balls storefront, serving New Orleans-style shaved ice drenched in colorful syrups. 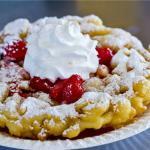 There are also funnel cakes because eating fried dough after eating fried seafood is a big part of the point of being in Louisiana, or at least as close to it as you can get in Los Angeles.